SLAB Architecture PLLC is an award-winning design firm committed to creating innovative solutions to challenging projects ranging in scale and scope from small-scale interior environments to urban design. Our process is highly collaborative and hands on. We work closely with our clients and project teams from the beginning of the design process to ensure the aspirations of the project align with the specific needs and constraints that will shape its realization. SLAB was founded in 2004 by partners Jill Leckner and Jeffrey Johnson. Jill Leckner, RA, LEED AP, leads domestic projects at SLAB and has extensive design and construction experience in the New York City area. Under her direction, SLAB has completed several high profile projects including the Red Bull New York Music Academy, the Red Bull New York Headquarters, and the National Sawdust Performing Arts Music Venue. Jill also teaches at the University of Kentucky College of Design and was a visiting critic at the Syracuse University School of Architecture. She is a registered Architect in the State of New York and State of New Jersey and a LEED Accredited Professional. 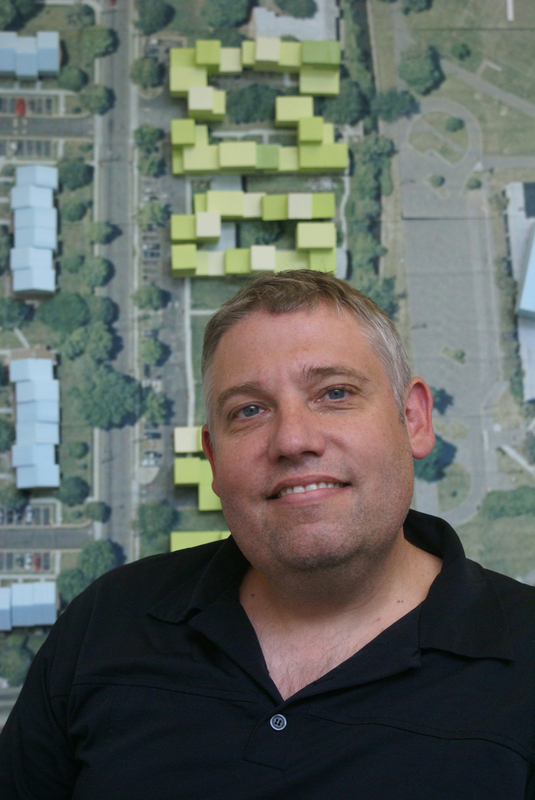 Jeffrey Johnson, RA, AIA, is the director of the University of Kentucky College of Design's School of Architecture. He is committed to advancing architectural research, discourse, and publication, with his latest work exploring the radical transformations of China's urban landscape. Jeffrey previously taught at the Columbia University Graduate School of Architecture, Planning and Preservation where he founded the China Megacities Lab, was the Curator and Co-Academic Director for the 2013 Bi-City Biennale of Urbanism / Architecture in Shenzhen, and frequently participates in symposia, forums, and workshops on the topic of cities and China's urbanization.